Our Wellbeing program is based on mutual care and respect. What is Wellbeing at Lindfield? We believe that being a diverse community enriches us all and we seek to promote tolerance and encourage understanding of all differences. 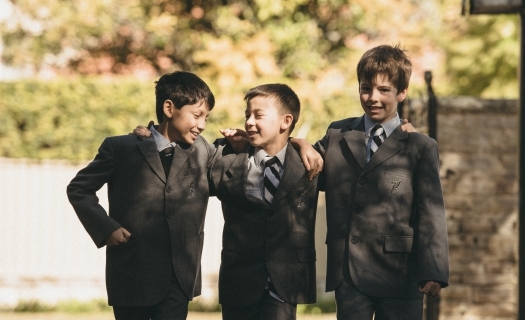 Tolerating difference, building empathy and understanding are all part of our Wellbeing program at Lindfield Prep. The program is aimed at teaching boys respect for oneself, respect for others and respect for the environment. There is also a strong emphasis on assisting a boy to come to a better understanding of himself and the world around him. In recognising his place within the world, we believe he will better be able to accept responsibilities and learn the qualities required for leadership. Our Wellbeing program is strongly supported by the meaningful relationships forged between our boys and their teachers, our teachers and other staff members, and between our school and your family. These interactions are further strengthened by the Chaplain and the School Counsellor who work closely with the boys and are happy to work with families on all academic, social and personal matters. Our teachers aim to encourage each one of our young boys to be assured of their individual worth, to be open to new experiences and friendships, to refine gifts that are already evident and uncover gifts that haven’t yet been developed. As our boys explore the best ways to learn, they are also challenged to take intellectual risks. When they engage in this risk-taking they receive support from their teachers and classmates to be the best they can be. As parents and educators, we seek to maintain a balance between providing a nurturing, caring and supportive environment while also encouraging our boys to have new experiences, take on new challenges and learn from their mistakes. In the midst of adversity, people often discuss the importance of remaining positive by ‘looking at the bright side’ to combat negative feelings. However, for a young person, simply asking them to be positive may not come naturally and may be confusing. At Lindfield, we teach our boys strategies to help deal with problems proactively. Positive Attitudes and Life Skills (PALS) is a program developed by a team of educators at Lindfield K-6 and it is aimed at teaching our boys how to remain resilient in the face of disappointment or failure. The program, which is loosely based on the award-winning Bounce Back program, strives to teach boys social and emotional skills they can use when coping with disappointment. Once a month, Year 6 students lead the PALS session at Lindfield. The Year 6 boys are given the opportunity to share with younger boys their ideas on concepts such as character, masculinity, courage, emotions, relationships, humour, anti-bullying through a series of interactive activities. These session are particularly interesting as they allow the Year 6 students to take responsibility for someone else’s welfare, and give advice on matters that they have experienced themselves. It’s a particularly rewarding exercise because it promotes a sense of community and cohesion between the year groups. To supplement the student-led PALS sessions, class teachers also run an additional weekly PALS session where the boys have the opportunity to discuss the focus content in greater depth and reflect on how they have been implementing it both inside and outside of the classroom. To further consolidate material discussed in the program, concepts of student wellbeing are also incorporated into a number of our integrated Units of Inquiry in class and during weekly assemblies. Through this program, we hope that not only does Lindfield K – 6 continue to be a safe and supportive place of learning for all, but that all boys learn life skills that will empower them to ‘bounce back’. The buddy system at Lindfield allows the Year 1 boys to learn from their older peers, whom they look up to as positive role models. The boys in Years 1 and 5 spend an initial session getting to know one another with the younger boys bringing along their favourite books to share with their Year 5 buddies. The system has proven successful with the younger boys who enjoy spending time with their older buddies. The older boys also accompany and sit with their buddies at Chapel each week. "Service learning means being able to learn about issues that affect people in our community and then doing your best to help those people in any way you can." Mr Campbell Jenson-Robilliard is the Counsellor (Educational Psychologist) for Lindfield Prep. He works across both preparatory campuses to counsel and assist students, parents and staff. Mr Jenson-Robilliard’s services at Newington include: supporting staff in the wellbeing of all boys, working with staff to teach social skills to boys, assisting with the entry process of new boys, psycho-educational assessment of boys’ learning and academic progress, individual and group counselling of boys regarding issues that might impact on their school adjustment and the administration of anti-bullying surveys. Referral to the counsellor is usually by teacher request and the service is confidential, within the limits of legal requirements for the protection of children. For further information please contact the class teacher, school office or email Mr Campbell Jenson-Robilliard. This powerful statement of intent is designed to encourage each and every boy to think beyond himself and his immediate environment and to see his place as part of a much greater global community – a community that has the potential to benefit greatly from his active citizenship. All inquiries within the PYP are collaborations between the boys and teachers. This partnership is built upon trust and respect from the viewpoint of every contributor with every perspective seen as a valued perspective. When boys have reached this understanding, they are truly maturing as citizens who can make a genuine difference within their community. The 12 Attitudes of the PYP include notions such as empathy, respect, integrity and tolerance. These qualities are embedded into the everyday learning of each and every student. 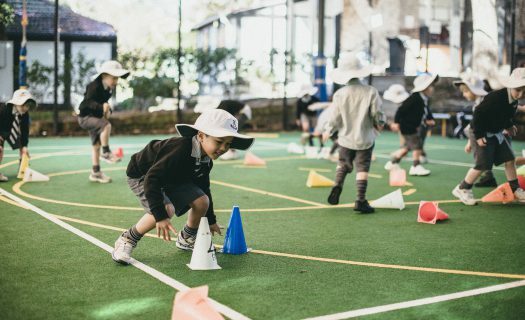 At Lindfield, social and leadership service programs are informed by the Action element of the IB; this is when all transdisciplinary aspects of the PYP come together into a purposeful, positive action reflecting understanding, integrity and respect. It is these initiatives that demonstrate the boys’ true engagement with their learning, converting their knowledge and awareness into an action with the potential for untold benefit. At Lindfield these actions are cause for much celebration as boys live their understanding of what it is to care, to respect and to lead. Service Learning at Lindfield is about helping our boys begin to make active and positive contributions to the world around them. During the year the Lindfield community looks to putting their ideals into action by taking part in a number of community initiatives. Students, parents and teachers alike have been playing an active role within their communities to help bring about positive and meaningful change. Our Service Learning program encourages boys to actively contribute to resolving social and environmental problems in the world around them. It is hoped that boys will gain a greater understanding of why such problems exist and realise that everyone can play a part in shaping a better world. In order for our Service Learning program to be successful, it is vitally important that we take the time to develop clarity regarding the intended learning outcomes for all students. This can help to ensure all our boys develop a mindset that appreciates the complexity of different cultures and the importance of a range of social justice causes. Such mindsets need to be developed with the knowledge of how our contributions towards change can effect an improved quality of life for all involved. The House System provides opportunities for collaboration and competition amongst boys across the years, in both sporting and academic areas. House games are played in all major sports and House Captains are elected by the boys late in the year. House points are collected weekly, and there is always a great sense of excitement among the boys as the cumulative point scores are revealed at the weekly assemblies and at the end of the year. There are two Houses at Lindfield: Rydal (blue) and Kingswood (red). Both Houses are named after sister schools to Newington in the UK: Rydal on Colwyn Bay in North Wales; and Kingswood in Bath. Boys are allocated to a House when they join the Prep School. 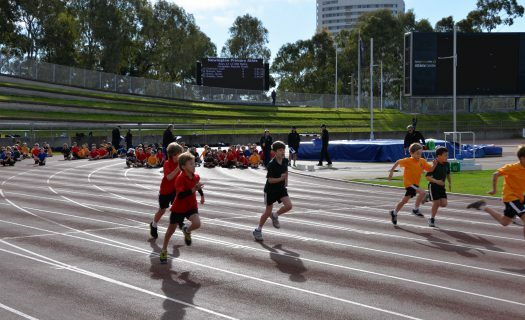 For major sporting carnivals (Swimming, Athletics, Cross Country) our Lindfield K-6 joins with Wyvern House to compete as a six House competition. Winners of the various activities retain the House Shield for that year. When the boys move to the Senior campus, they are reallocated a House out of the eight. These houses are allocated at random unless there is a connection to a particular House through a father and/or brother. Action is about students using the knowledge and skills that they have gained by applying them to real life situations that are relevant. It can many forms from a changed attitude to a practical application. Leadership is an essential and important component of the Wellbeing program at Lindfield. As a result, students have many opportunities to take on responsibility and participate in learning experiences that serve to build the knowledge and skills needed to be an effective and encouraging leader. The qualities of leadership are modelled and addressed through the essential elements of the PYP (attitudes, knowledge, skills, concepts and action), with ACTION being the result that we want our students to demonstrate. Boys travelled to Parliament House in Canberra to learn about how ‘government systems and decisions can either promote or deny equal opportunities and social justice. The boys noticed that there was no Aboriginal flag represented in the Senate and one of our students chose to write to the Prime Minister to question why this is the case. 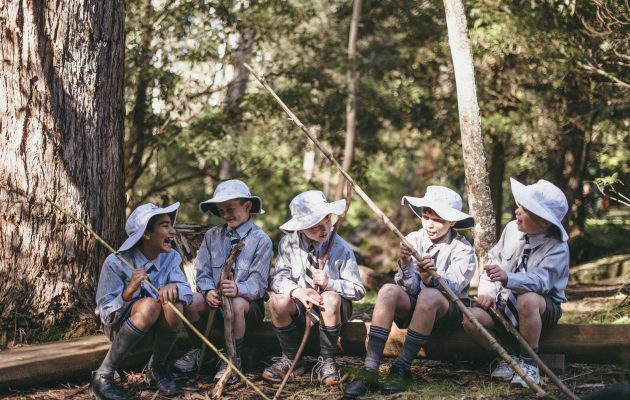 At the beginning of Term 1 each year, Year 5 attend an annual Leadership Camp on the grounds of the Lindfield Prep. The leadership camp is a great opportunity for the boys to get to know each other and to develop leadership skills through a variety of collaborative games and activities.